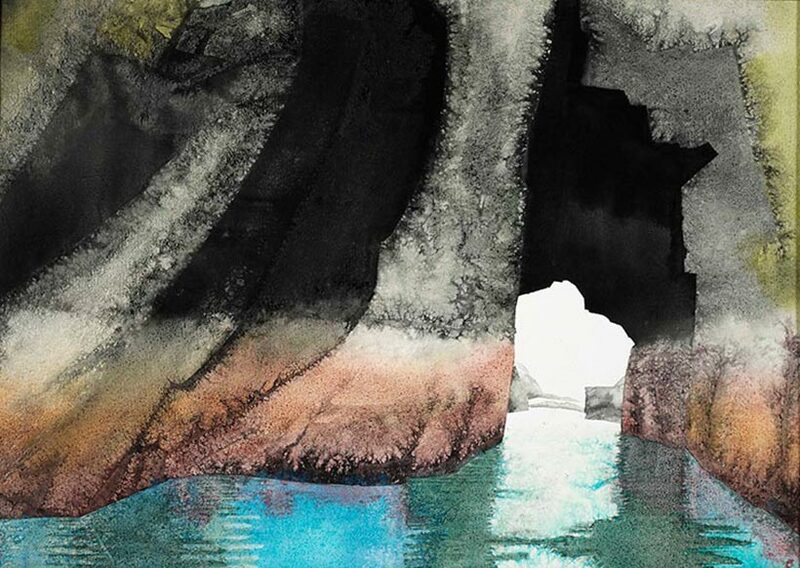 Next to the cosmopolitan cool of the ICA and in the shadow of national and royal collections at either end of the Mall in London, Jill McManners’ watercolours of the Shiants – a group of remote volcanic basalt islands in Scotland’s Outer Hebrides – look compellingly out of place. 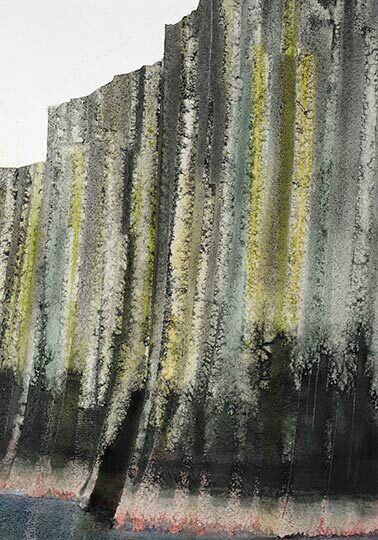 The artist’s solo exhibition at London’s Mall Galleries (organised by Thomas Lighton of the Merville Galleries) is the result of over six years painting and drawing the islands’ forbidding cliffs, whose pillars thrust out of the sea in impenetrable formation, chilly with damp lichens and painted at the water’s edge with otherworldly mineral colours. McManners, who has holidayed with her family in the Hebrides for years, first heard of the privately-owned Shiants when she read Sea Room: An Island Life – a book about the islands and their unique appeal published in 2001 by Adam Nicolson. She has since spent countless hours circling them by boat, concentrating on the coastline where, she explains, the sheer scale of the cliffs is most apparent. In the paintings, they dominate the composition, thrusting the sky out of the frame ‘like a tourniquet around the top’. 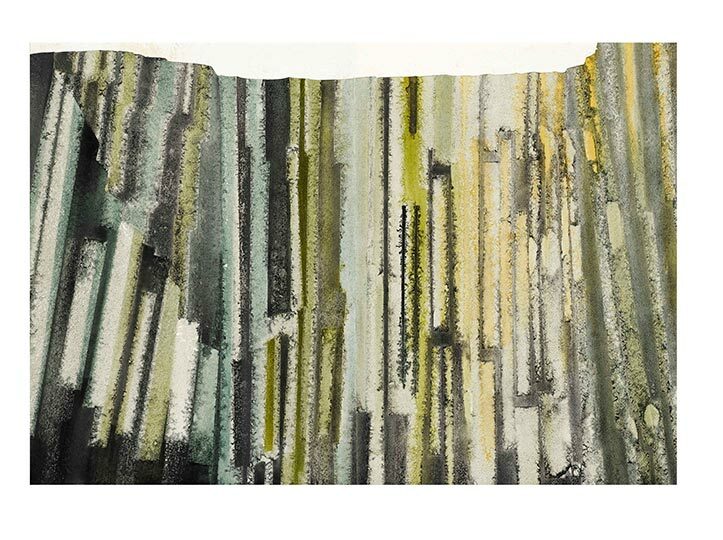 McManners’ watercolours have a strikingly sculptural quality, particularly for what is so often considered a lightweight medium. Their painted impact is hard-won: working on thick, textured Italian paper, she layers numerous washes of different transparencies onto the surface, scratching out highlights, lifting areas of paint and building up deep, impenetrable areas of indefinable near-black. Her titles are either architectural (cathedrals, curtain walls and buttresses) or musical (she works to rock music, and quotes her favourites), and suggest the spiritual and personal impact of the islands on her life and work. In an adjoining room, a series of prints constructed from photographs of the islands transforms them, from towering fortresses to self-contained, sinister flowers of hard stone. 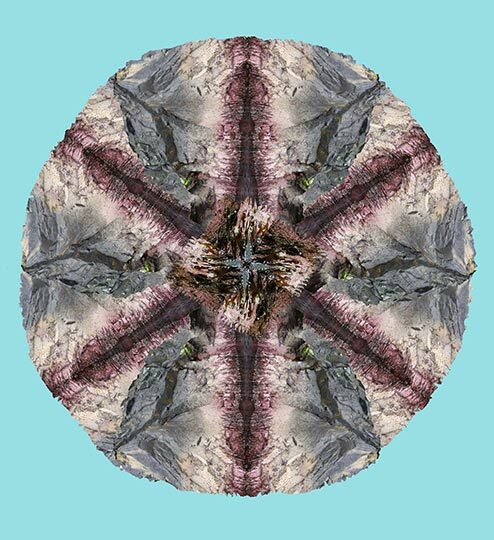 It’s here that the crystalline intricacy of the rock faces is best appreciated, isolated and celebrated in kaleidoscopic colours. 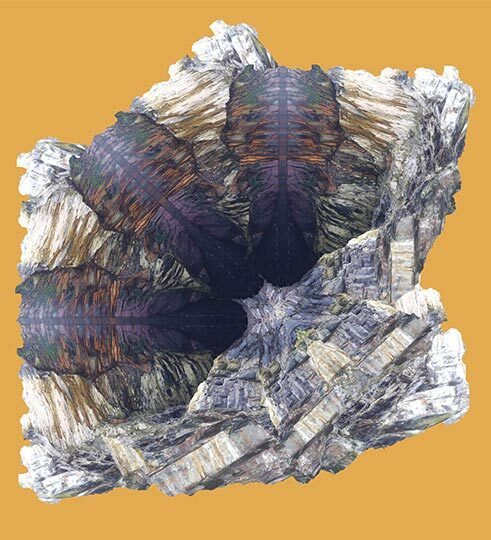 A set of badges from the same series sit at the door to the galleries, ‘like pebbles picked up from a beach’, little mementos from a place of inhospitable beauty, to take with you into the cultivated, altogether more malleable gardens of St James’s Park. 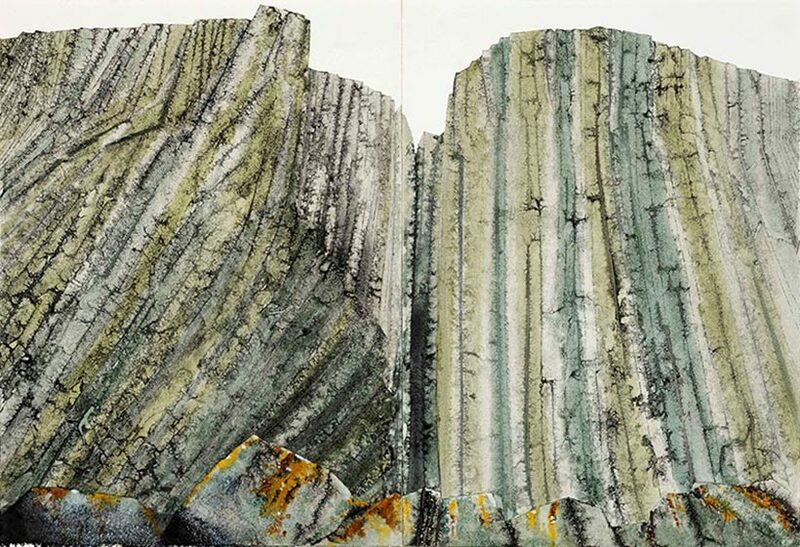 ‘Basalt: an exhibition of watercolours and prints by Jill McManners’, is at Mall Galleries, London until 1 March 2014.